The Carnival was a revelation for my just-about-to-be teenage ears. Although Wyclef typically gets lumped in as a rapper, his hip hop style was so much more than rap alone. On “Gone Til November” Wyclef delivered a smooth groove featuring the The New York Philharmonic Orchestra. On “Staying Alive” he rapped over a Bee Gees disco sample. On “Mona Lisa” he crooned with The Neville Brothers. The album was unlike anything I had ever heard before, rich with different flavors and textures. Some of the songs weren’t even in English, which brought Wyclef’s background as a native Haitian to the forefront. Wyclef’s was a minority voice I hadn’t been exposed to before, and it felt like I was getting this sneak peak into another world that I previously didn’t know existed. Three years after I first basked in the eclectic stylings of his solo debut, Wyclef released a fittingly titled follow-up: The Ecleftic: 2 Sides II a Book. He stayed true to form, collaborating with a diverse group of performers ranging from Earth, Wind & Fire on “Runaway” to Mary J. Blige on “911” to Kenny Rogers on “Pharoahe Monch Dub Plate,” which features a variation of the famous chorus from Rogers’ 1978 hit “The Gambler.” While songs like “Low Income” show his rap chops, Wyclef also picks up a guitar and sings as he puts his own spin on Pink Floyd’s “Wish You Were Here.” Oh yeah, he also collaborated with The Rock on that album. 2002’s Masquerade again put Wyclef’s range on display. On “You Say Keep It Gangsta” and “Thug Like Me” Wyclef used rap to call into question some of rap’s less flattering tropes. On that same album he goes old school with his own take on The Four Seasons’ “December, 1963 (Oh What a Night).” In Wyclef’s version, the story takes place in “late December 1993” as he raps of his exploits in music. Masquerade also features a guitar-wielding Wyclef performing a rendition of Bob Dylan’s “Knockin’ on Heaven’s Door” that mentions by name many who have passed away, including rap royalty such as Biggie Smalls and Tupac. Similar themes show up on his 2003 album The Preacher’s Son. On “Industry” he raps that “black on black crime needs to stop” while mentioning several tragic incidents in hip hop history. Yet again this album spans the gamut. 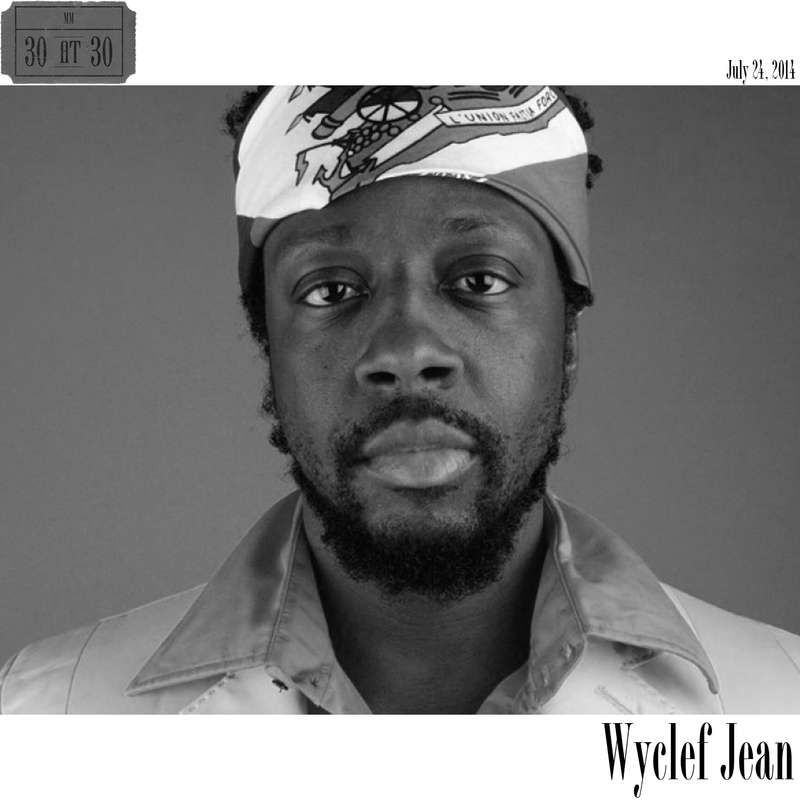 In addition to the grittiness of “Industry” Wyclef has the brighter sounding “Grateful” and “Celebrate.” The album also has a trio of really good couples-friendly love songs: “Baby,” which features some killer falsetto and classic R&B references; “Take Me As I Am,” a slow-jam duet with Sharissa that is probably as saccharine sweet as Wyclef ever gets, and “I Am Your Doctor,” a reggae track featuring Wayne Wonder and Elephant Man that has lyrics that will probably either make you smile or roll your eyes, depending on your current relationship status. In 2007, Wyclef released Carnival Vol. II: Memoirs of an Immigrant, which was highlighted by the track “Sweetest Girl (Dollar Bill)” featuring Akon and Lil Wayne that received some radio airplay, reaching as high as #12 on the Billboard charts. He also collaborated with Paul Simon on “Fast Car,” although I personally prefer the more up-tempo remix featuring Lupe Fiasco. While those were the only two tracks from this album to make my ultimate mix, there are a number of additional collaborations here worth noting: Norah Jones, Shakira, Mary J. Blige (again), Serj Tankian, and will.i.am to name a few. None of the tracks from his 2009 album From the Hut, to the Projects, to the Mansion, a unique concept album, made the cut, but that’s only because they were up against such tough competition from all that Wyclef had already done. Wyclef’s music helped me embrace diversity…in music, in culture, in life. For that, I am grateful.